Ann Jonas was born in Flushing, NY and grew up on Long Island. She graduated from The Cooper Union Art School in 1959. Initially, she pursued a career in graphic Art. She moved to Frankfurt, when her husband, Donald Crews A’59 was drafted. Upon their return to New York, she worked as a freelance graphic designer. Later she wrote and illustrated several picture books for children. Her books often use abstract images in order to stretch children’s imaginations. Jonas wrote and illustrated her first children’s book When You Were a Baby, in 1982, and went on to to illustrate many more books for children. 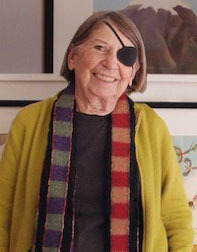 Ann Jonas passed away in 2013. This entry was tagged Ann Jonas, Childrens books, graphic artist, Illustrator. Bookmark the permalink.